Moët & Chandon announced today its partnership as the official champagne of the 34thAmerica’s Cup, reinforcing the Maison’s long-standing history of sportsmanship and savoir-faire in the glamorous world of sailing. The 34th America’s Cup is a dynamic and world-class international sailing competition that challenges the best sailors in the world in both match and fleet racing skills. Moët & Chandon will be present at all key moments throughout the unparalleled competition, from the starting signals to the closing ceremony. Since 1987, Moët & Chandon has been the life and soul of every America’s Cup and Louis Vuitton Cup reception: christening legendary sailing crafts, creating dazzling champagne cascades which rise in an elegant pyramid of crystal clear champagne flutes, and toasting the daring victories of the athletes. 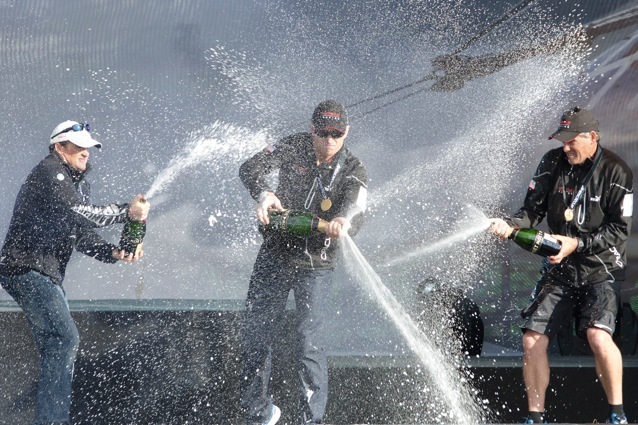 Moët & Chandon closely reflects the sailing world’s bold, modern spirit and dedication to the pursuit of victory. The Maison’s presence at these sporting events demonstrates its commitment to a race that tests the extraordinary skills of athletes as they wrestle with the forces of wind and sea. Unlike nearly any other sport, America’s Cup sailing represents an unparalleled competitive thrill and success based on both mental expertise and physical finesse. The sport embodies grandeur and freedom on an exhilarating scale, with a global appeal that traverses international territory in terms of athletes, fans and worldwide competition. As the world’s leading – and most loved – champagne, Moët & Chandon shares a pioneering vision with this iconic sport. During the entire summer of 2013, San Francisco Bay will be home to the 34th America’s Cup events. At 161 years old, the America’s Cup is the hardest title in sport to claim, with only four countries ever having been successful in winning the Cup. San Francisco will shine on the world stage, with the 34th America’s Cup being the only major international sporting event to be hosted in 2013. A thrilling spectacle with a rich tradition, the 34th America’s Cup features the best sailors on the world’s fastest boats, and consists of three main stages - the America's Cup World Series, now currently underway in Naples, Italy; the Louis Vuitton Cup (July 4 – September 1, 2013); and the America's Cup Match (September 7-22, 2013). The Moët & Chandon tradition of supporting the grandest achievements lives on as a ‘grand prize,’ where a bottle of the House’s iconic champagne becomes the award itself for champions. Victorious athletes celebrate their exceptional triumph on the winners’ podium, such as at the Barclays ATP World Tour Finals, by accepting a well-deserved bottle of Moët & Chandon – a symbol of the overflowing joy of success.